My husband Bob and I don't travel often, but when we do, we typically stay at a Hampton Inn. Reasonable prices, clean rooms, comfy beds, free breakfast, and best of all....freshly brewed, free coffee available 24/7 that could give Starbucks a run for their money. 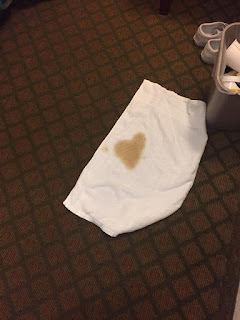 And so it was on a recent trip to visit Bob's family in North Carolina that we found ourselves in our room at the Hampton Inn, coffee in hand...that is until Bob accidentally spilled his precious brew all over the carpet. Acting quickly, I threw a towel on top of the spill, hoping it would stop the coffee from seeping onto our shoes, luggage, etc. A few moments later as I busied myself in the bathroom with hair and make-up, Bob called me back to the scene of the crime. "Lisa, look!" he said in amazement. I poked my head out of the bathroom and, as commanded, took a look. The towel had started its job of absorbing the coffee stain, which one could hardly call extraordinary. However, the stain had formed itself into a perfectly shaped heart. A sign? Much more likely. The heart-shaped coffee stain came as I neared the end of a seven-day sprint spent with people I love. The week began when my daughter Melissa, on her college spring break, once again stripped us of our "empty nester" titles as she resumed her familiar presence at home. And as the week inched towards its conclusion, the hubby, the daughter and I made a 9-hour journey by car to Raleigh, NC for a "not long enough" weekend visit with Bob's parents, sister, brother-in-law, niece, and nephews. We relished in our brief time together, talking, singing, laughing, eating, playing games, and eating some more (courtesy of my mother-in-law's superb cooking), and all too soon, sharing warm hugs of farewell. We had planned the trip to coincide with the end of spring break so that we could make a pit stop on our way home to New Jersey to drop Melissa off at American University in Washington, DC. Not one for long goodbyes, Melissa couldn't wait to get out of the car and embrace campus life after a week's reprieve from term papers and professors. Bob and I helped with her bags, gave our cherub a quick squeeze, and reluctantly walked away as she laughed with her friends, secure in the knowledge that this place had truly become her home. I climbed into the car, feeling that familiar, overwhelming sense of melancholy that has become an unfortunate part of the "my child is in college" experience. But this time, those feeling would not last long. 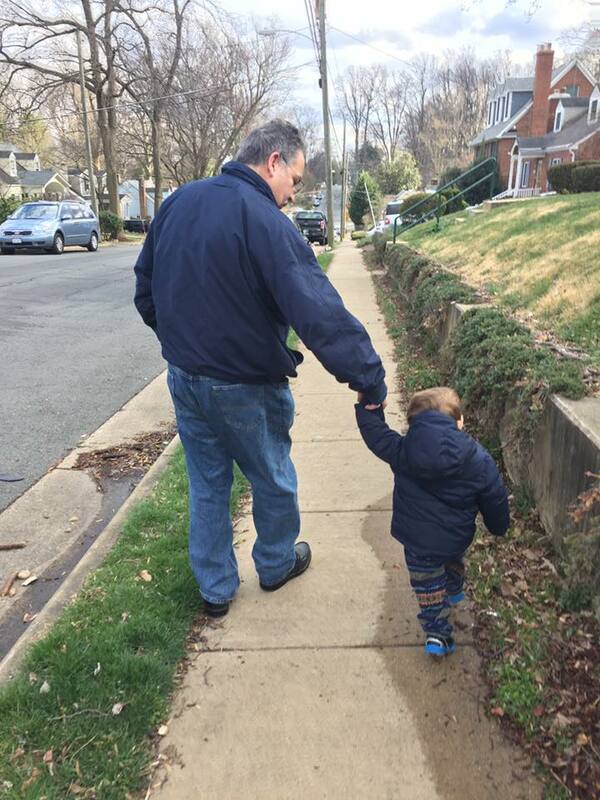 Our "family time" weekend still had one more treat in store...precious moments spent with our 19-month old grandson Miles and his parents, our daughter Jessica and her husband Brian, who live in the DC suburbs. Bob and I whiled away the afternoon with Miles by playing with toy trains, reading books, and enjoying a walk outside. Then, yet all too soon....another goodbye. 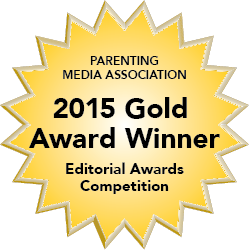 Later that evening I collapsed into bed, wrapping my arms around my sweetheart, whose exhaustion mimicked my own. Within moments we both lapsed into sleep. A warm, sound, comfortable, content sleep. Memories of our time with treasured loved ones would soon take their rightful place in our hearts as once again - as was the case before the start of spring break - my world would be shared with my husband...and only my husband! Perhaps it was no accident that Bob and I were the only people who bore witness to the heart-shaped coffee stain. 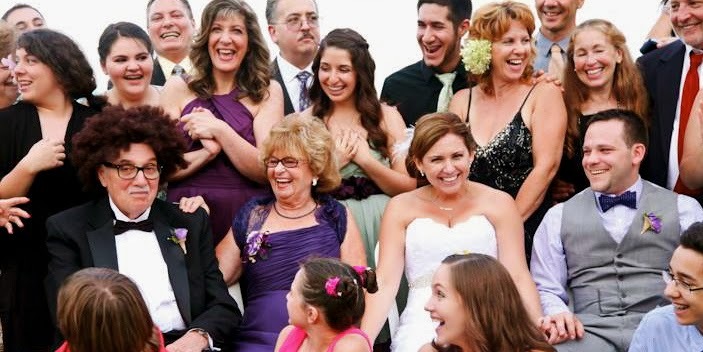 Perhaps it was a sign that no matter how many times we say goodbye to those we love, no matter how many times we shed a tear as a daughter or grandson walks away...that the one constant in our lives will be each other.